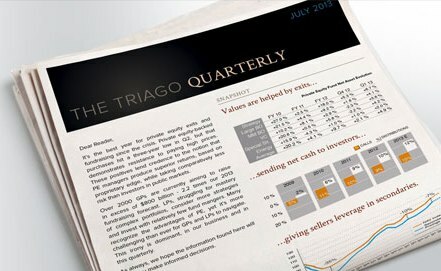 Wharton PE & VC is pleased to share with you the December issue of The Triago Quarterly, a report from our corporate sponsor Triago, a firm that has helped general partners and limited partners with their global fundraising and private equity portfolio management activities for nearly 20 years. According to the report, 2013 offered our industry plenty to celebrate. As 2013’s investors received record amounts of net cash, private equity fundraising hit a 5-year post-financial crisis high of $365 billion. Triago's 2014 outlook calls for increased fundraising and a steadily improving environment for PE asset acquisition, particularly if global interest rates rise.